This project is expected to be executed in consultation with the relevant stakeholders. 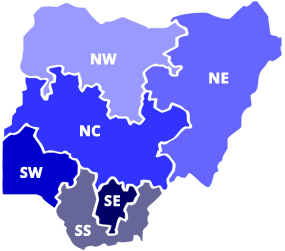 The objective of the project is to provide ICT needs of persons living with disabilities in Nigeria and access to required ICT services through institutions/organisations set up to cater for this group. 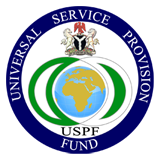 In this regard, USPF shall make provisions within its budget to support all-inclusive ICT access to people living with disabilities. 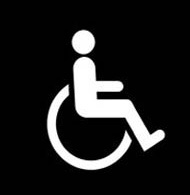 The objective of this project is derived from Article 9 of the UN Convention on the Rights of Persons with Disabilities which specifies in its first paragraph: "To enable persons with disabilities to live independently and participate fully in all aspects of life, States Parties shall take appropriate measures to ensure to persons with disabilities access, on an equal basis with others, to the physical environment, to transportation, to information and communications, including information and communications technologies and systems..."
Providing support to identified groups in accessing Information and Communication Technologies. Providing ICT and assistive solutions to cover as many areas of disabilities as possible, including but not limited to sight, hearing, mobility etc. This is a fully funded project. Through open competitive bidding, companies are selected to deploy the appropriate assistive technologies to the institutions catering for people living with disabilities.